Remember when our parents had to force us to have a shower and go to bed? I’d pay a small fortune for someone to insist I do that now. The things you loathe as a kid are a luxury when you’re an adult. I’m furious at my younger self for not waking up to the beauty of a solo scrub and a strict bedtime. One of my friends had a bath every night as a tot and has continued her nightly ritual until this very day! She is 37-years-old now and as soon as her kids head hits the pillow she runs herself a warm bath. She has missed approximately five nights in her whole life of the nightly soak and a few of those were due to her being in the act of labour. Whatta queen for doing that for herself. Another one of my friends has a bath EVERY Wednesday night with her husband. It is a non-negotiable in their week. They pop their kids down and have a glass of vino in the tub and chat blissfully uninterrupted. The idea of a nightly bath doesn’t tickle my fancy because once my offspring are down I basically have to crawl to bed. Also, top to toeing in the bath with my hairy partner doesn’t light my fire, but I really do love the thought of a once a week solo bath. There is something so delicious about a big bubble bath. Sinking into the warm liquid with a flickering candle and relaxing music is a form of heaven in suburbia. So this is my commitment to myself, once a week I now have a date with my tub. I will happily “borrow” some of my kids’ bubbles and pop into the inviting warmth. I will lie there and bliss out and on occasion, I may even tackle the jungle that sprouts from my legs. I will also refuse to feel guilty that this time isn’t spent packing school lunches or sweeping up the day’s mess. 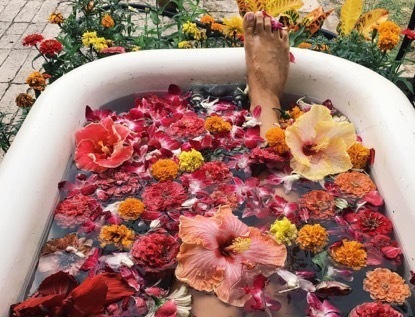 I will happily soak my body until I resemble a ripe old prune because it has been SCIENTIFICALLY proven that submerging your bod in water can reduce pain and inflammation, calm the nervous system, reduce stress and anxiety and improve your mood. When mummy’s mood is improved, everyone is a little happier so it’s a win-win! Tub time! 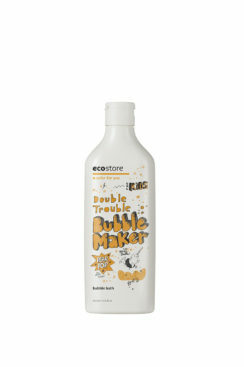 *ecostore products are ALL made using plants and minerals with zero nasties. 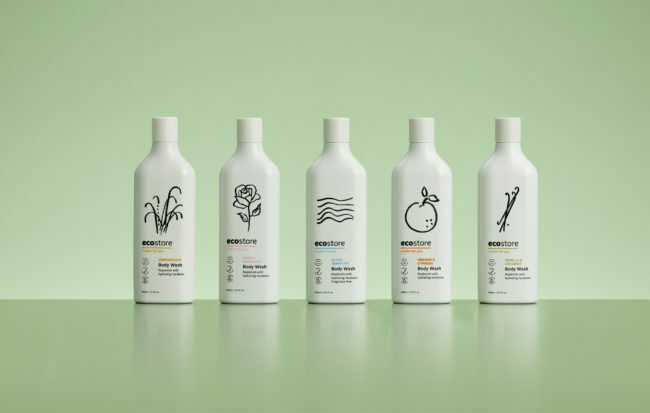 We choose to use a heap of their products around the house because we know they are good for us, our family and the planet. Their packaging is made from sugar cane too, so it‘s 100% recyclable. You can get your hands on some at Woolworths, Baby Bunting, and Chemist Warehouse and at ecostore.